This pretty Easter card is simply perfect for you to give to a child or little one to celebrate Easter Sunday. 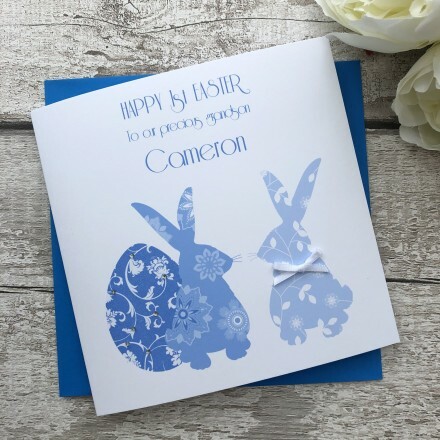 A pretty card for the younger members waiting for the Easter Bunny. It features two Easter bunnies embellished with diamantes and a satin bow. This luxury card is available in two colours, pink or blue and will make a wonderful keepsake to be treasured for many years to come.